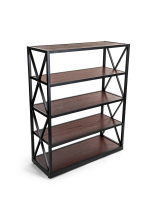 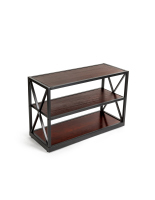 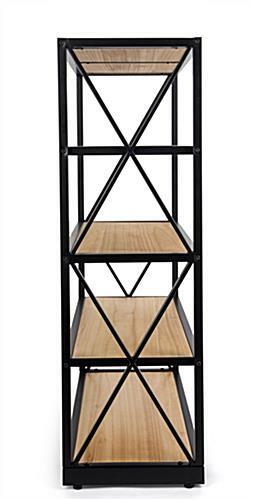 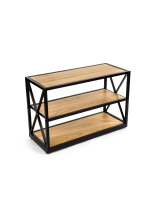 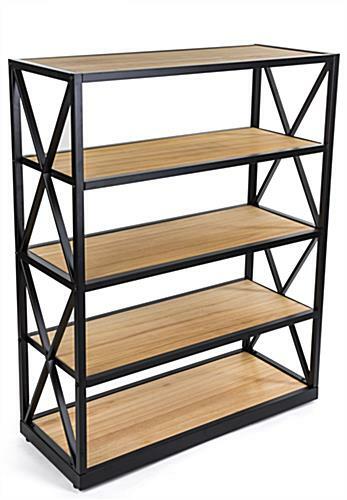 These engineers industrial bookcase shelves use a combination of solid wood and powder coated steel to create an upscale, yet rustic design with modern sensibilities. 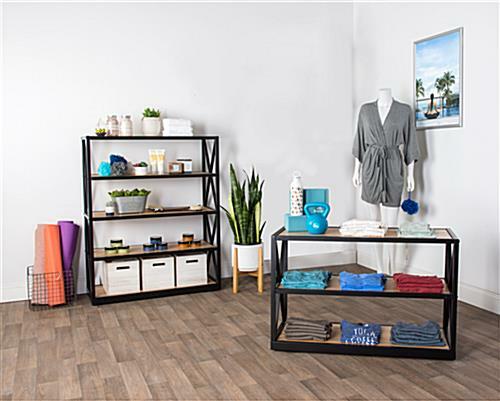 Clean lines and open backed tiers make for an inviting retail display or curio stand. 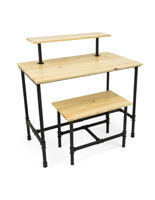 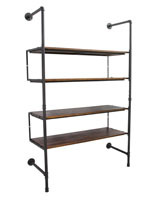 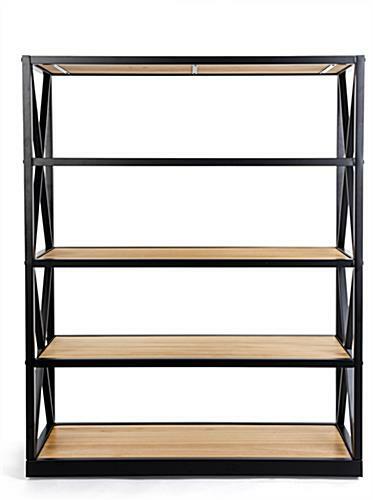 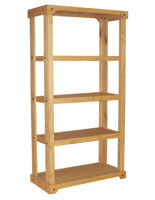 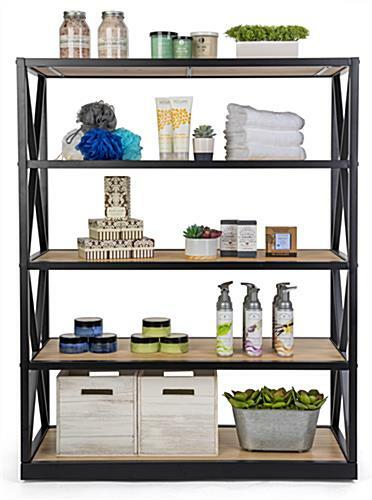 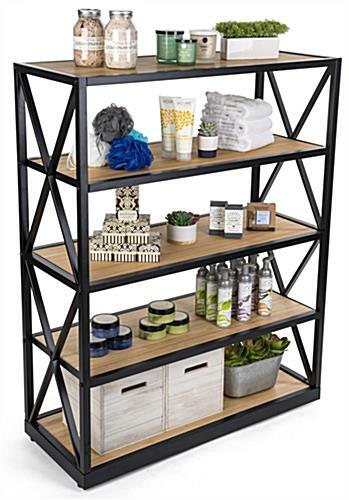 These industrial bookcase shelves with steel framing are 14” deep and just over 37” wide, providing plenty of space to stow glassware, kitchen utensils, and more. 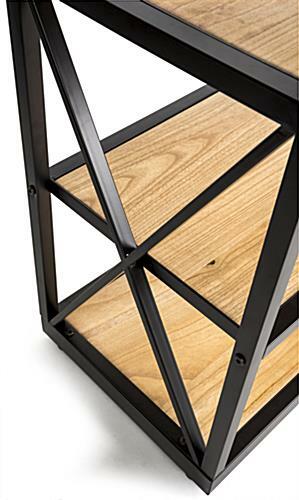 Crafted with a modern touch, this fixture has attached floor levelers for sturdy placement. 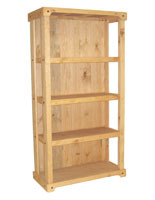 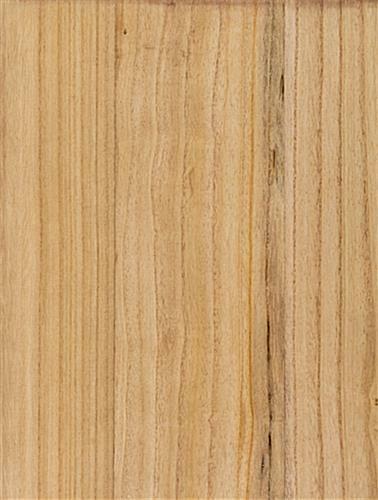 The natural wood finish makes any space feel warm and inviting and provides the finishing touch on a farmhouse aesthetic. 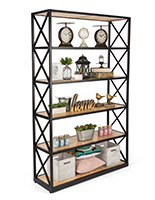 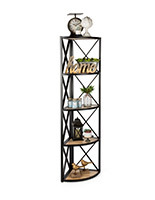 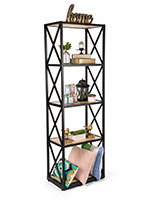 These bookcase shelves are an eye-catching fixture, whether used for a retail display, a décor piece in a café, or as a charming rustic storage piece in your home.